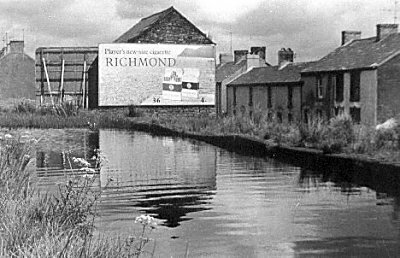 These Photographs again show the canal, this time at Neath Road near Wychtree Street. This area has changed greatly since the old photograph was taken in 1960. 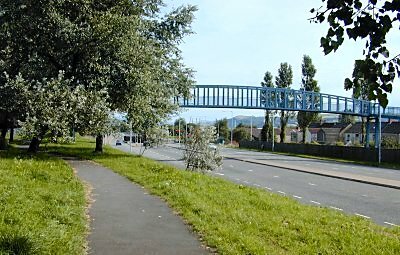 The road is now a very busy dual carriageway linking Swansea with J45 of the M4 motorway. Soon after this old photograph was taken, the canal was drained and gradually filled in. To see both photographs in black/white, click on the top (colour) photograph.